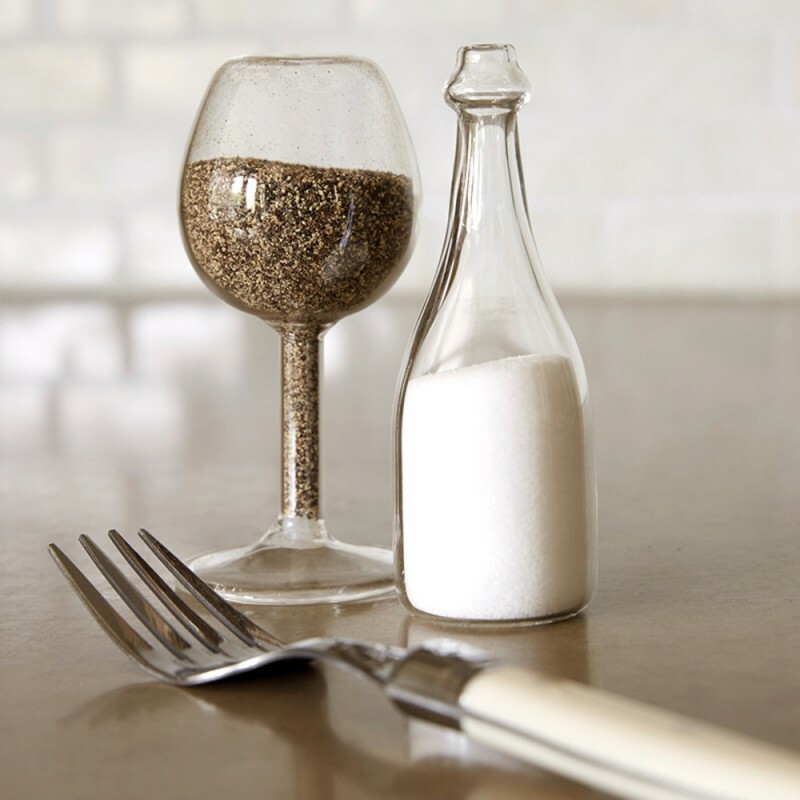 Wine Glass and Bottle Salt Pepper Shakers (P/N 17298). Charming and practical, these glass shakers are easy to refill with removable rubber stoppers. Watch these shakers pass playfully among your guests, but keep a close eye - they tend to disappear at the end of the night! Makes a cute housewarming gift or stocking stuffer. Each set includes 1 wine bottle and 1 wine glass. Entertain in style and display your love of wine with these artful glass salt and pepper shakers.